In England, where 26.2% of the population is fighting with obesity, the ratio of obesity is expected to have gone over 35% by 2030. Obesity is the cause of many diseases, and can be treated. ISTANBUL, April 10, 2019 /PRNewswire/ -- Dr. Volkan Arayıcı from IFSO claims that obesity is one of the biggest public health problems in the 21st century, and has tripled in Europe since 1980. According to the World Health Organization (WHO) data, the number of people suffering from obesity in England has gone over 14 million and 26% of males, and 27.7% of females are considered obese. Child obesity ratios have increased to alarming levels, reaching 9% between 0 and 9 and 14% between 11 and 15. One in five people in Europe are obese! Bariatric Surgeon Op. Dr. Volkan Arayıcı believes that diseases associated with obesity such as diabetes, high blood pressure, sleep apnoea, depression, and asthma have serious effects on lifespan and life quality. Stating that the life expectancy of individuals with a Body Mass Index of 40 and above are 8-10 years shorter compared to healthy individuals, Bariatric Surgeon Op. 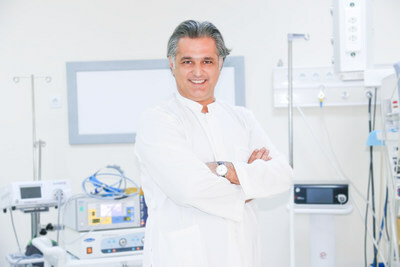 Dr. Volkan Arayıcı stated, "Obesity has become a serious epidemic today. Obesity can be treated, as a result of which the person's life quality and lifespan can be improved. It is possible to get rid of the excess weight without pain by means of new techniques including sleeve gastrectomy and gastric bypass." Op. Dr. Volkan Arayıcı continued, "Sleeve gastrectomy helps reduce stomach volume by 80% and slows down the secretion of the ghrelin hormone, which is the cause of increased appetite. As the stomach shrinks in volume, the person feels full by eating less and therefore the extra weight is gotten rid of within a short and painless period. This method helps lose 60% of the excess weight in the first 6 months." Stating that sleeve gastrectomy is similar to a simple rhinoplasty, Arayıcı added, "Since sleeve gastrectomy is a closed surgery, the patient is able to stand up 4 hours after the operation and be discharged at the end of the 2nd day."